You must activate the Operating System using Windows 7 Product Key. Whenever you purchase a copy of any edition of genuine Microsoft Windows from a retailer, you will get a Windows Product Key. You will have to use this key to install Windows 7 in your PC or laptop computer. 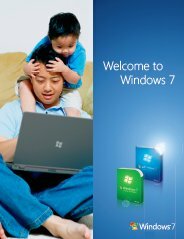 Windows 7 product key will entitle you for getting Automatic Updates, Security Updates, and other operating system fixes and upgrades available through Microsoft servers. You will also get system support from Microsoft Help Desk in case you run into some trouble with your Microsoft Windows 7 operating system. What if I lose my Windows 7 Product Key? If you lose your Windows7 Product Key, you will be in serious trouble. Without your product key, you may not be able to download critical system updates from Microsoft, and worse, you may even be suspected of using a pirated version of Windows 7. It is not a welcoming scenario, to say the least. There are several ways to solve the problem, but each will require investment of considerable amount of time, and possibly, even a good bit of cash. Here are the options that you will have at hand. If your Windows 7 arrived in preinstalled condition in a new Notebook/Desktop PC, then your PC manufacturer/assembler should have a backup copy of your Windows 7 Product Key. Call him up and describe the problem. See what solutions he can offer you. Is there any other way of getting my product key? If you own a retail version of Windows 7 try to get your Win 7 Product Key out of your Windows registry, but is encrypted and not readable, making finding it difficult, so try to install a Windows 7 key finder program available on the internet. You may also call the Microsoft paid helpline at (800) 936-5700 for a new Windows Product Key. Keep in mind that you will be charged some amount between $40 and $60 for calling. If you are still unable to get a product key, then as a last resort you may have to purchase a new copy of Windows 7. What do you think about Windows 7 Product Key? Do you have any Windows 7 Product Key experiences, ideas, article, story, opinions, errors, problems and tips which you would like to share? Why not take a few moments and Share it with everyone!